The “M Press” is a strong, medium weight, press based cultivator designed to work with tractors from 100hp upwards. It can be fitted with two rows of tines or two rows of discs to suit your particular needs and can be updated if you change your cultivation policy. The twin row shoulder packer cuts and firms whilst leaving a weather proof surface that is an excellent seed bed for weed seed germination. 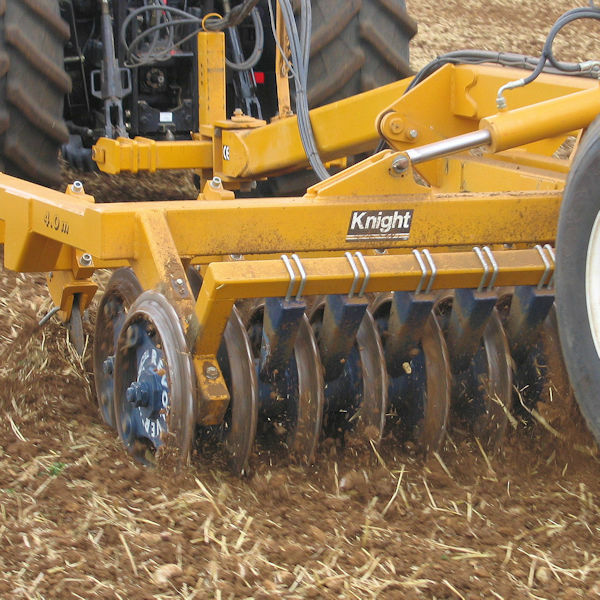 The M press can be fitted with a single row of discs ahead of two rows of tines or varying combinations of the two. Tines are fitted with fast change Speed-loc points. This reduces down time when changing points and quick optimisation for different jobs. 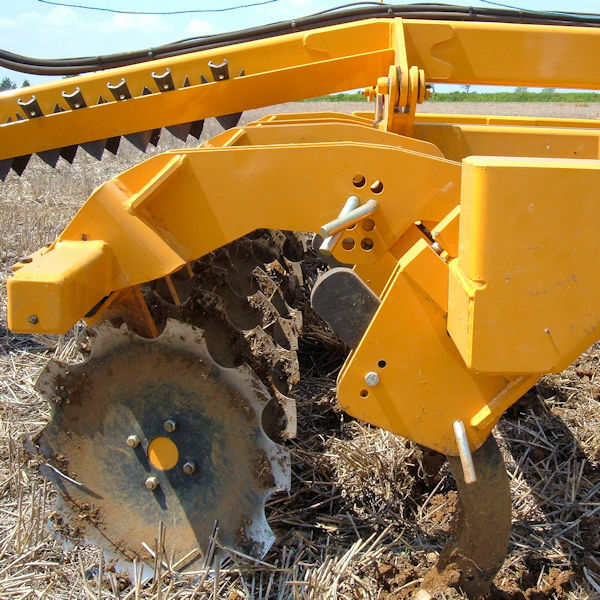 For example, run 9” sweeps on stubble and narrow spike points on ploughing. When the M Press is used mainly for secondary cultivation you may prefer to fit two rows of spring tines. It is also possible to fit a levelling board in this application which ensures a very level and evenly packed seedbed. Speed-loc points are also fitted thereby maintaining the versatility of the M press. The M press is fitted with two rows of the 600mm diameter, unique Triple press “Revolver Ring” packer. The shouldered design ensures an even depth and therefore lower draft whilst the sharp point quickly penetrates the surface and packs the subsurface. 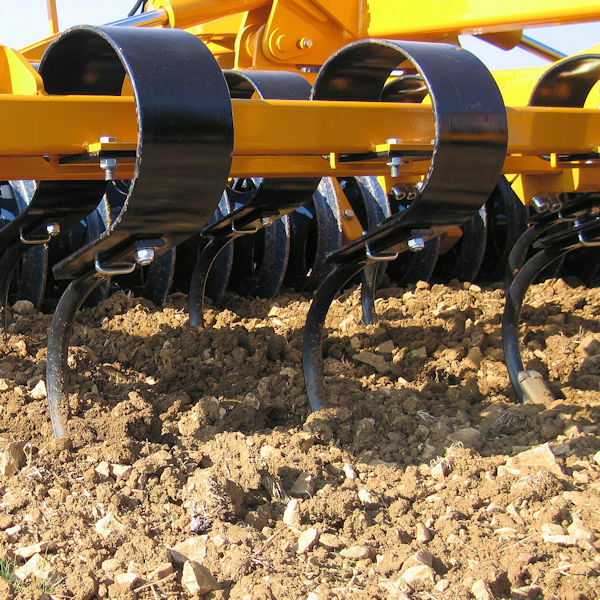 The resulting weather-proof finish is an ideal stale seedbed.